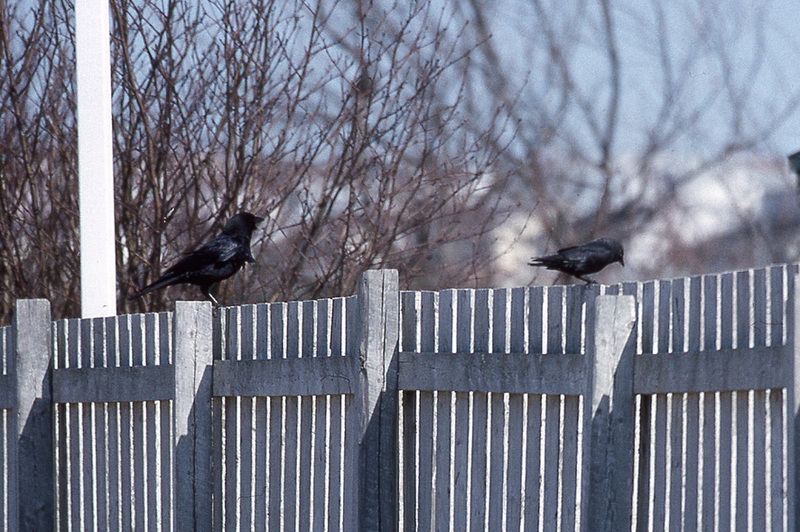 This Eurasian Jackdaw (right) was spotted off-and-on around St. John’s for more than four years. It is the only record for Newfoundland. Origins: An abundant and familiar bird in the Old World, it occurs across of Europe, much of Asia and northwest Africa. Generally not a long-distance migrant, the few North American records are generally though to be ship-assisted, although there is no evidence of this in Newfoundland. Record Details: One record of (presumably) the same individual observed sporadically in and around St. John’s over several years (December 1994 – April 1999). While it was most often found in the eastern half of the city (including Robin Hood Bay landfill), it was spotted as far afield as Cape Spear.